I'm still playing catch-up! 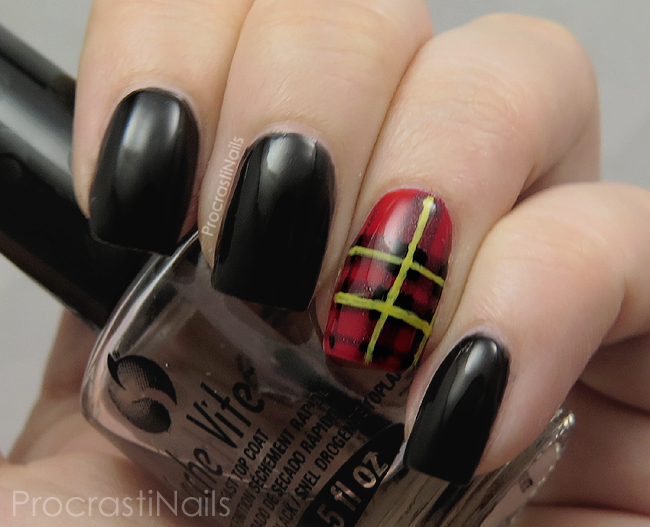 These are my tartan nails for National Tartan Day which was on April 6th and I decided to go with an accent nail in the style of the Brodie tartan which is my family tartan. :) The reason for it being an accent nail rather than a full mani? 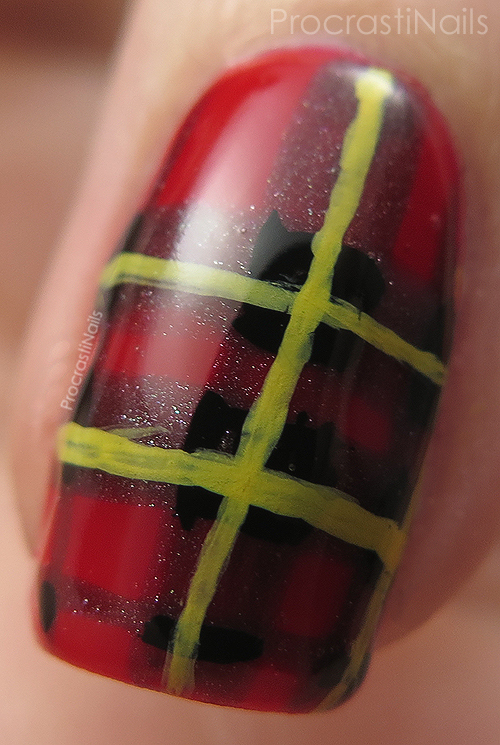 Plaid/tartan designs are hard! Haha. Check out more under the cut! For my accent nail I started off with a base of GOSH Lambada and then I did my striping with the Julep Plié Wand and Sally Hansen Big Smoky Top Coat, Sinful Colors Black on Black and yellow acrylic paint. And there we go! A little bit of family heritage for Day 6 (ish) of The 30 Day Challenge! I'll have one more post up later today that will get me fully caught up, so keep an eye out for that! Love the tartan, but it is so much work! 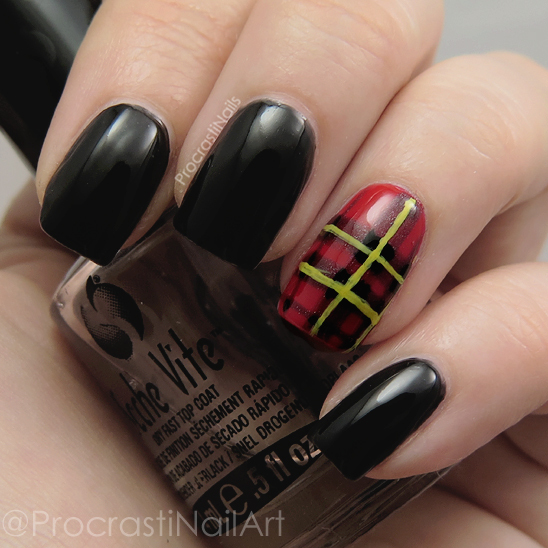 Tartan nails are hard! I'm impressed with the detail you managed to get hand painting this. 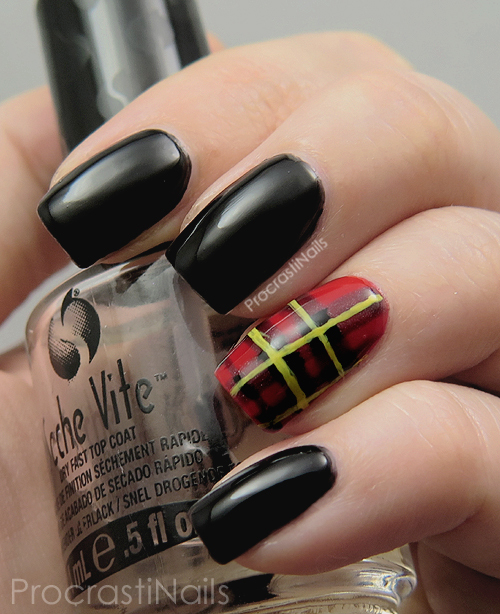 The tartan nail looks amazing!